Floods are natural disasters that can have a very devastating impact on your property. While it’s not really possible to completely flood-proof your home, it’s definitely possible to restore a property that has been impacted by a flood. This is where we at ServiceMaster Restoration Services come into the picture. Our company provides prompt and efficient flood damage restoration in Elkhorn, NE. Our technicians mitigate all the flood-related issues and ensure that your property is brought back into its pre-flood condition. 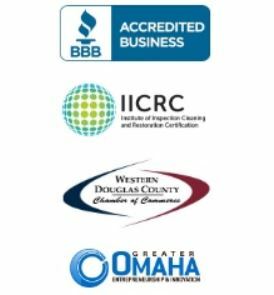 We have years of experience as well as the expertise to handle severe flood damage in Elkhorn, NE. Our personnel will come over to your property, assess the damage, and provide detailed recommendations and solutions to all the problems that have been cited. We work hard to ensure that all the features and elements on your property are restored and that the space becomes livable again. Reconstruction – If the floods have caused severe damage to your property, reconstruction of the structure may be required. We have the knowledge, experience and the technology to handle reconstruction services in an expert manner. Air Movers – Once the flood waters have receded and we have removed all the standing water from your property, the next thing we focus on is to clear the air in the indoor spaces. We place large, industrial-use air movers at different spots all over your property; this helps maintain proper air flow. Dehumidification – The next thing we tackle is the humidity on the property. We install dehumidifiers and air movers to eliminate excess moisture. Humidity and any water accumulation causes extensive damage to the flooring, furniture, and drywall; this step ensures this damage is limited effectively. Moisture Monitoring – ServiceMaster Restoration Services will consistently monitor the moisture levels to ensure that the drying and dehumidifying methods we have been using are effective. The objective is to focus on clearing the excessive water and moisture from the indoor spaces, this helps prevent mold and mildew buildup. As a fully-licensed, insured, and IICRC-certified company, we have the ability to handle flood damage of any level and complexity. 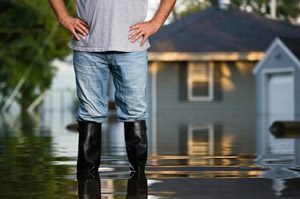 If you need flood damage restoration in Elkhorn, NE, call ServiceMaster Restoration Services immediately at (402) 973-3858.